Buy online our clothing and fashion fabric Ricamo Paillettes 001. Black tulle fabric with pink sequins and feather and flower pattern, perfect for evening dresses. 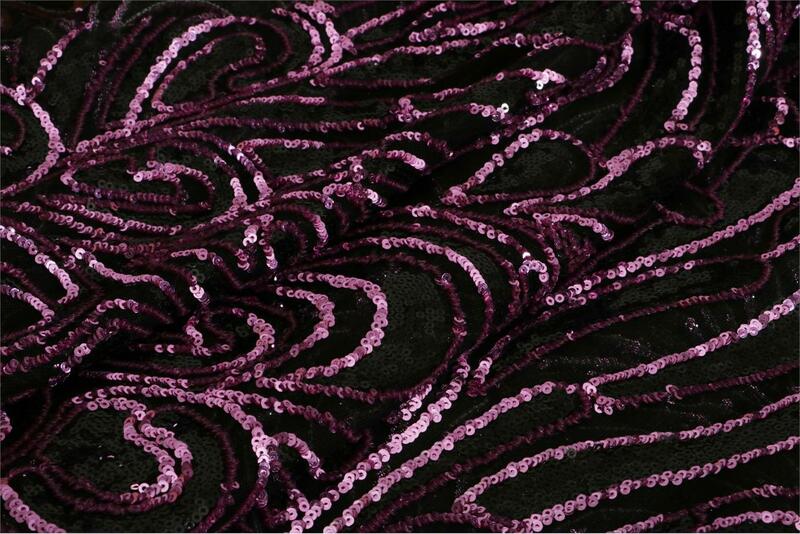 Black, Pink Polyester Sequins Laces/Embroidery fabric for Party dress.